If a patient accused you of a bad service, what would you do? Describe the time when you went above and beyond with your service. Describe a conflict you had with a colleague or with a friend. Give an example of a time when you were overwhelmed with work. How did you handle the pressure? What do you need to assure yourself about before dispensing prescription medicines? 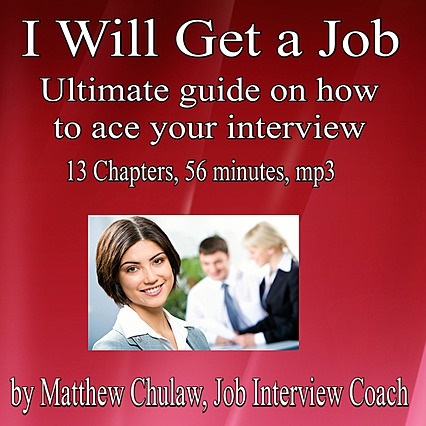 Read the sample below to see how this eBook can help you in your interview. Q: You cannot read the prescription. What would you do? Hint: Do you try to solve the problem, or do you call the physician immediately? Do you have a system of steps to take when you can not read the prescription? And do you care at all? Like many other times in an interview, we test your attitude to the job and to the patients you’ll meet in a Pharmacy. You should try to convince us that you would never dispense any drugs unless 100% sure about the prescription. Calling the physician should be your last option, but it should be on the list. – I have a system of steps I follow every time I can not read the prescription. Firstly, I ask the patient to help me decipher. The doctors typically tell the patients what they prescribed, so sometimes patients help us to identify the drug. If patient are not sure, I look at their profile if it is a maintenance medication. That may help as well. If I still can’t figure things out, I will call the doctor. – I would try to understand the handwriting before doing anything else. I believe I will get accustomed to the handwriting of the doctors and manage to read the prescription most of the time. But if I did not read it, I would ask a patient to help me out. If we were still unable to identify the drug, I would contact the doctor and ask them. I always try to solve the problems without bothering other staff members. Q: You realize that two drugs the customer is taking may interact. What would you do? Hint: You should inform the patient about possible drug interactions (though many pharmacists don’t do it). What is more, if it goes about a serious interaction, you should suggest them an alternative, send them back to their GP, or consult a specialist. 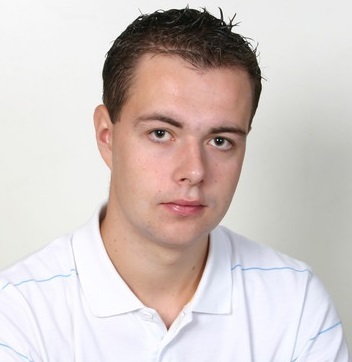 – I would inform the patient immediately and ask them whether they discussed the issue with their physician. If they didn’t, I’d either send them back, or call the physician on my own to discuss it. To make the call effective, I would firstly look for substitutes that do not interact with each other, and suggest the alternatives to the doctor on the call. – It depends on the seriousness of the interaction. If it was insignificant, I would only inform the patient, warning them of possible side effects. However, if it was substantial, I would not let them take the drugs before consulting it with their physician or with a specialist in our pharmacy. My personal conviction is that pharmacists should be responsible and think their job—they shouldn’t blindly follow the prescriptions. But I do not want to boast about my skills, or waste your time with a lengthy sales page. You have read the sample, you’ve seen the website, and I am sure you can tell whether my eBook will help you to get a job of a Pharmacist. I sincerely believe it will help you. And you can read it easily in two or three hours, it’s 11,000 words. Only things that truly matter for your success in an interview. I failed in three different interviews, but I didn’t understand why it happened. I decided to purchase your eBook, and it opened my eyes. I suddenly understood every mistake I had made in my past interviews. Long story short, I got a community pharmacist job in the very next interview. 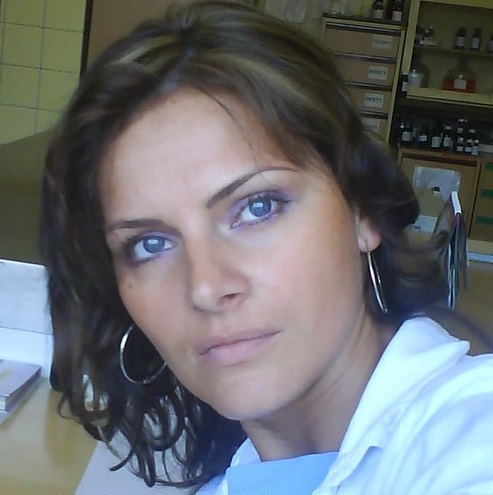 It is not easy to get a job of a pharmacist, and things get even tougher for men. However, I got the job in my very first interview, and the credit goes to your eBook. Most of the questions they asked me were analyzed in your book, and I was confident, and I came up with great answers. Thank you Anita! I am not very talkative, and I struggled to sell my skills in an interview. After learning the winning interview strategies from Pharmacist Interview Guide, however, I understood that you do not have to talk a lot to get a job. You just have to use the right words. I did it, and I got a job in a hospital. Format: eBook (.pdf file format, you can read it on your desktop, mobile, or kindle, and you can easily print it). Simple checkout with PayPal, instant download. (After the payment you will be directed back to our website to download your Pharmacist Interview Guide. You will also receive a download link and instructions to your email, just to ensure that you will get the eBook without waiting, even if the redirect fails. And ten other common interview questions. This priceless book will help you in any interview, for many years to come. 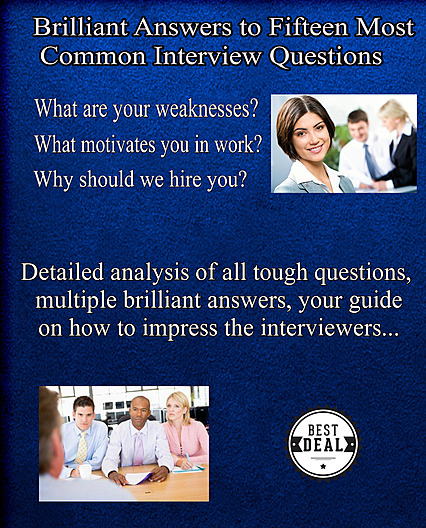 Teaches you everything you need to know to win the hearts of your interviewers. 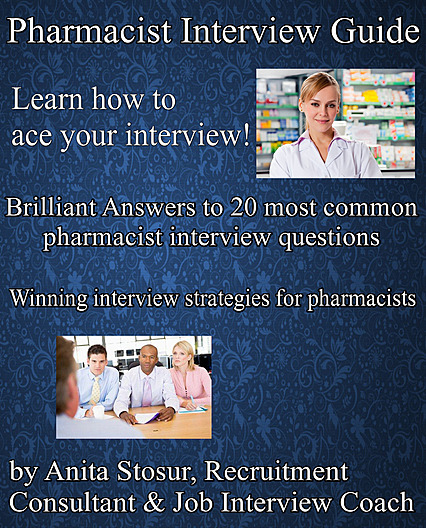 Buy Pharmacist Interview Guide today, and get these two priceless interview success products for free. 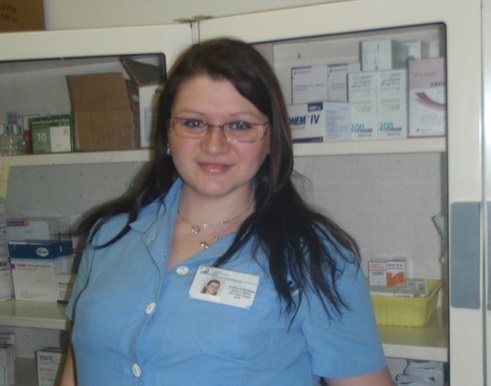 Job interview for pharmacist position does not have to be stressful, or difficult. You can be the one who interviews with confidence, and gives brilliant answers to all difficult questions. You will impress your interviewers, telling them exactly what they want to hear. You will get rid of interview stress. You will get the call after the interview. If you do not like the Pharmacist Interview Guide for ANY reason, or for no reason at all, just let me know within sixty days and I will give you a full refund. Drop me a message to anita[at]pharmacistinterviewquestions[dot]com with your name and transaction details. No questions asked, just a full refund. Try my professional interview guide in your next interview. Once you have tried it, I am confident you will keep it and will be more than happy about your purchase. But if not, all you have to do is to ask for a refund. You can lose nothing with this purchase. If you can not see an option to pay with your credit/debit card once you click the check out button, click on “Create account with PayPal” or “Sign up”. PayPal will offer you an option to pay with your credit or debit card, without a need to register an account with them–you will pay as a PayPal guest). P.S. Send me an email to anita[at]pharmacistinterviewquestions[dot]com if you are still not sure how this guide will help you to get a job, or if you have any question. I answer all emails within twelve hours.